Custom Safety Signs Available NOW! JH Signage Ltd has the technology to efficiently manufacture custom safety signs, personalized to your requirements. When ordering a custom sign all you have to do is send us your personal text. We will provide a quote to you asap. 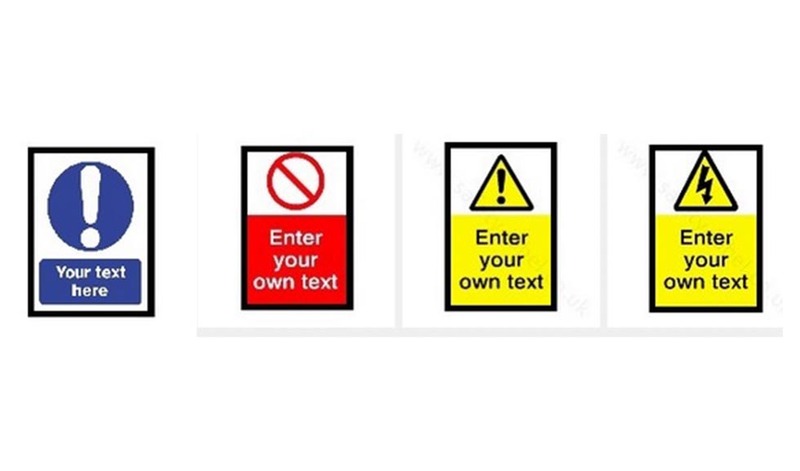 If it is a safety sign you specifically want we have templates which currently include prohibition, mandatory, hazard and electrical safety. We have a large selection of stock templates we are able to personalise any of the signs you find on our shop to suit you.